Madeleine was one of the first patients admitted to Médecins Sans Frontières/Doctors Without Borders (MSF)’s newly built cholera treatment centre (CTC) in Munuki, Juba. Following her arrival by ambulance from a Ministry of Health facility on 14 July, MSF staff implemented a treatment plan reserved only for the most severe cholera cases. “When Madeleine arrived she was unable to walk from the ambulance and had to be physically supported. We soon discovered that she was in a severe state. Her pulse wasn’t palpable,” said Dr Catherine Deacon, who received Madeleine at the emergency entrance of the CTC. Madeleine and Dr Catherine Deacon in the recovery are of the MSF CTC in Munuki, Juba, South Sudan. “After I started to feel very sick, my husband and I decided that I needed to get help. “First we attended Gurey health centre where I was given IV drip treatments, before being transferred to MSF. “We heard over the radio that MSF is running a cholera centre and the ambulance brought us here,” she says. Dr Deacon explains her decision to move Madeleine to the recovery area on Thursday 16 July, two days after she was admitted to the CTC. “Today Madeleine is well enough to be transferred to the recovery area. She has stopped vomiting and her diarrhoea has settled down. “Madeleine will receive some health education around cholera such as the importance of hand washing and will be given some chlorine and soap - so that if anything needs to be cleaned up at home, she can do it. “Oral dehydration salts will be provided and she’ll be advised to come back if she gets worse,” says Dr Deacon. 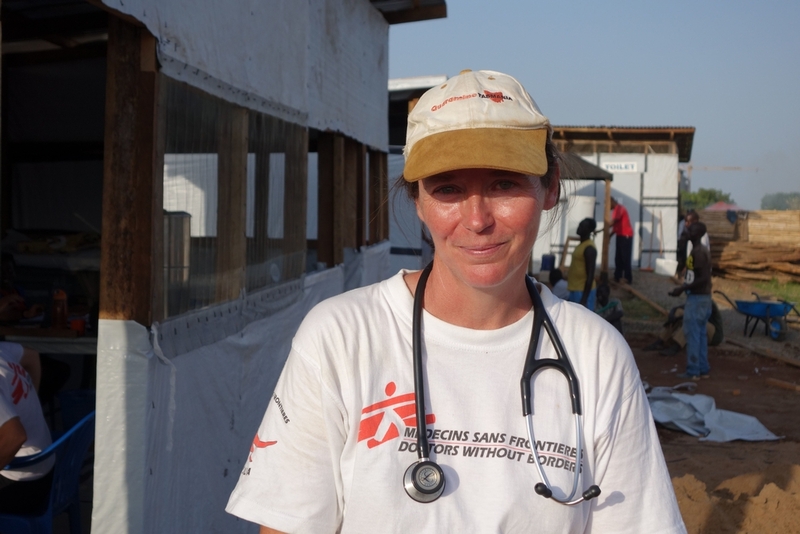 Dr Catherine Deacon at MSF's new CTC in Munuki, Juba, South Sudan. Later that day; Madeleine and her husband Paul prepare to leave for home after she was officially discharged by Dr Deacon. “I’m happy because of the care and treatment I received here. I’m now feeling better, not like when I arrived. “I would like to tell people suffering from cholera that there is an MSF centre in Munuki which provides care, support and food. “I’m now okay and very happy for that,” says Madeleine as she and her husband leave the gates of the CTC for home. 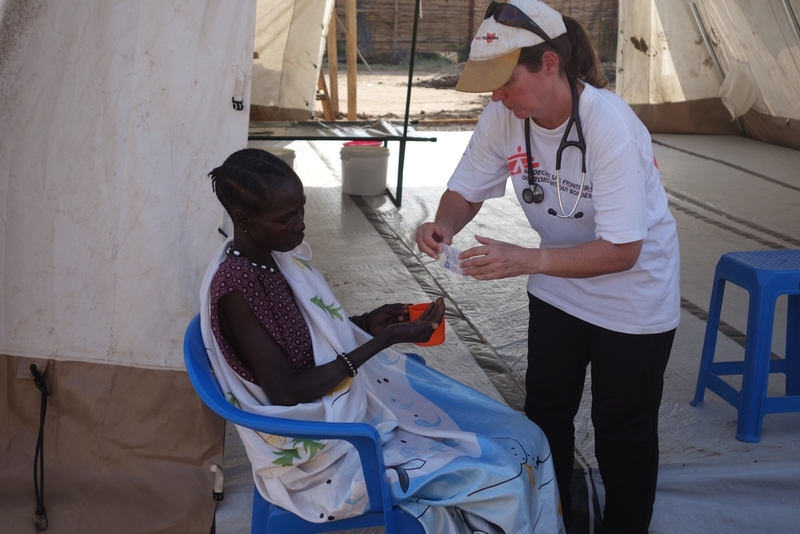 MSF is responding to a cholera outbreak in Juba and suspected cases in Bor counties. So far over 1,244 cases and 39 deaths have been reported by the Ministry of Health and World Health Organisation. Since opening on 11 July, 27 people have been admitted to MSF’s newly built CTC in Munuki, Juba, South Sudan, for free treatment.